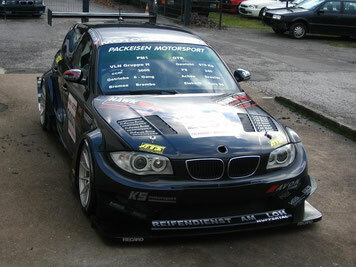 Whether it's the BMW E82 or the 4-door BMW E87, Flossmann has three different racing models for costumer racing. The range currently extends from the BMW E82 GT2 to the puristic BMW E82 134 Judd, which Georg Plasa used to defend his hillclimb titles. The 1 series range is completed by the BMW E87 GTR. They all have one thing in common: the DNA of Flossmann Auto Design. 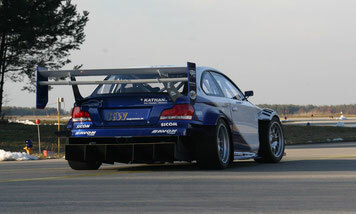 Innovative bodykit for BMW E82 models in GT2 ALMS style. Class wins at the Nürburgring 24h race prove his strength in motorsport. One of the fastest BMW in the world. Optimized in countless wind tunnel tests to reach the best aerodynamic for fast cornering speed. Bodykit with a lot of attention to detail. At the time one of the most innovative designs of a racing car.